YANGON: Myanmar police said on Tuesday they would drop pending charges against two journalists working for Turkey's state broadcaster, their interpreter and driver, who were jailed in November for violating an aircraft law by filming with a drone. Cameraman Lau Hon Meng from Singapore, reporter Mok Choy Lin from Malaysia, Aung Naing Soe – a local journalist who was interpreting for the pair – and driver Hla Tin were detained by police on Oct 27 near Myanmar's parliament building in the capital Naypyitaw. They are currently each serving a two-month prison sentence under a colonial-era aircraft law, but all four still face further charges for importing the drone. The two foreign nationals have also been charged with an immigration offence. Police Lieutenant Tun Tun Win and an immigration officer – the complainants – on Tuesday appeared in a Naypyitaw courtroom and asked that the court drop the charges. 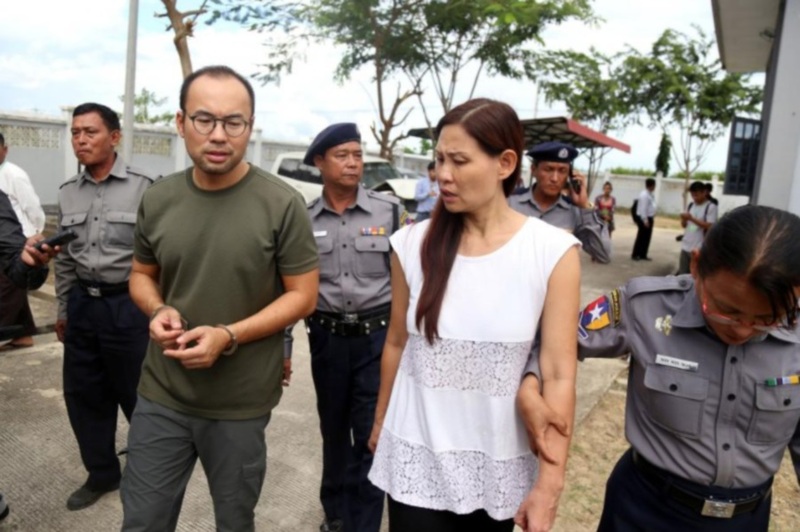 Tun Tun Win told Reuters higher police officials had ordered the case dropped because the four did not mean to endanger national security by flying the drone. Additionally, he said, the decision was intended "to forward the relationship between countries", referring to the two journalists' home countries, Singapore and Malaysia. A law officer – the government's prosecutor in the case – was expected to tell the court the charges were formally dropped in another hearing set for Thursday, defence lawyer Khin Maung Zaw told Reuters. "The higher authorities already instructed to terminate with good intention, but the procedure can only be accomplished on that day (Thursday),” the lawyer said. The four are set to complete their sentences under the aircraft act on Jan 9, but may be released earlier for good behaviour, he added. The case had raised concerns over freedom of the press in Myanmar, where a civilian government led by Nobel laureate Aung San Suu Kyi took power last year but the military retains control of security matters, including the police. Two Reuters journalists were arrested on Dec 12 after they went to meet police officers for dinner on the outskirts of Myanmar's largest city Yangon. Wa Lone, 31, and Kyaw Soe Oo, 27, had covered the crisis in western Rakhine state that has driven 655,000 stateless Rohingya Muslims across the border to Bangladesh since August.